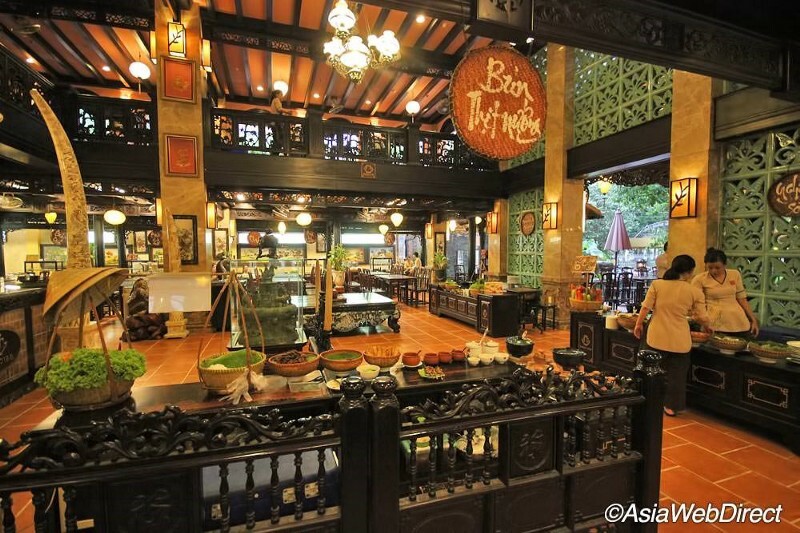 Ho Chi Minh, one of the most modern cities of Vietnam, has a abundant mix of food all around Vietnam as well as worldwide menus such as French, Chinese, Indian, etc. It is the confluence of Vietnamese food cultures that makes our country shine out around the world. As a results, many visitors flocking in Saigon to sample the unique food of many fabulous restaurants. 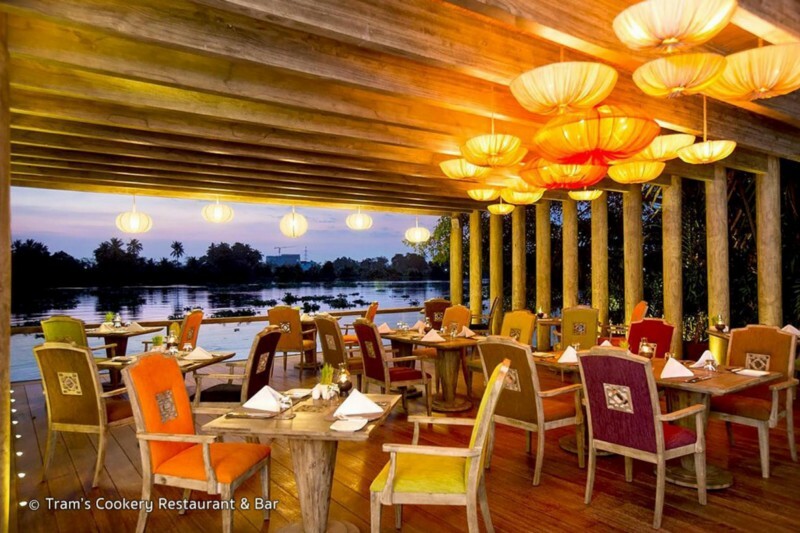 While snack stalls and street food are also an inextricable part of Vietnamese dining experience, sometimes you need a exceptional restaurant that combines expertly prepared dishes with a pleasant ambiance, breath-taking views and dedicated service. A beautiful design scheme like something out of an exotic fairytale and a range of cooking stations preparing specialities from all over Vietnam keep Quan An Ngon packed out every evening with foreigners and well dressed locals. This is the perfect place to try legendary Vietnamese dishes such as fresh spring rolls, Hue noodles and black pepper crab. 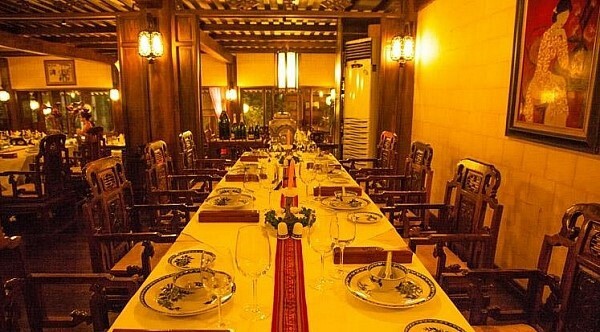 Occupying a prime location next door to The Reunification Palace, this restaurant is situated inside a refurbished mansion where guests can dine amid intricately carved teak furniture, lotus ponds and serving staff in classic satin dresses. 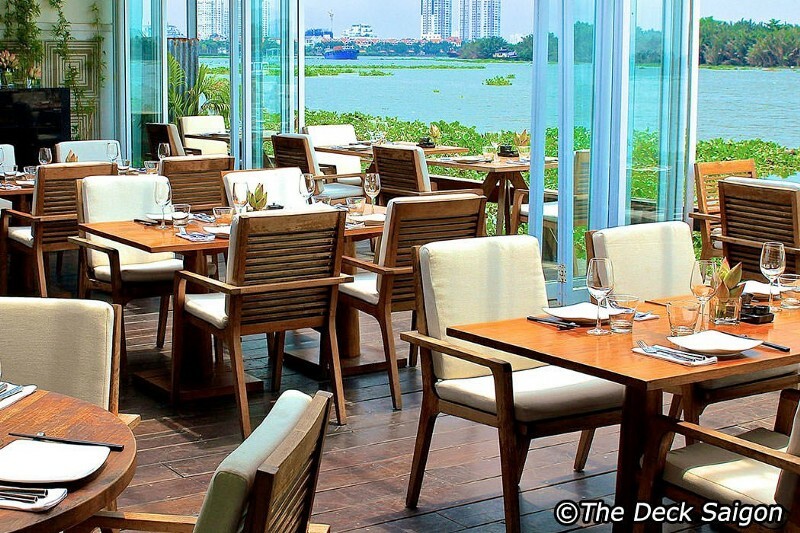 The Deck Saigon sits beside the Saigon River in a delightful al fresco setting 15 minutes taxi ride from downtown Ho Chi Minh City. 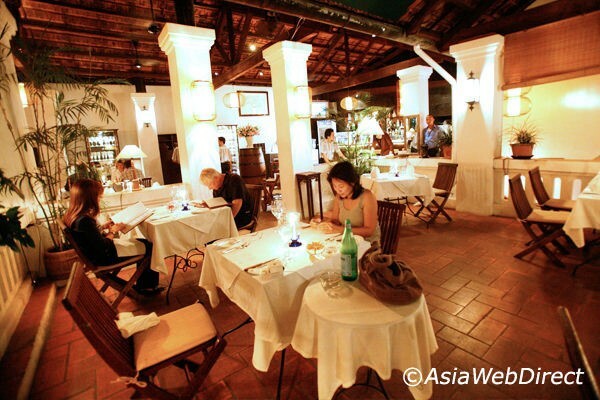 The romance of this restaurant is unparalleled and the pan-Asian fusion type dishes are very well prepared. Open for breakfast, lunch and dinner, this restaurant has excellent set lunch offerings. Come dinnertime, a la carte dishes run from soft shell crab tempura to char grilled shrimp and rib eye steak. Most of the meat is imported meaning it isn’t the cheapest but quality is assured. The Refinery Bar and Restaurant brings a touch of French charm to downtown Ho Chi Minh with a menu of French bistro favourites such as steak frites and creative salads. 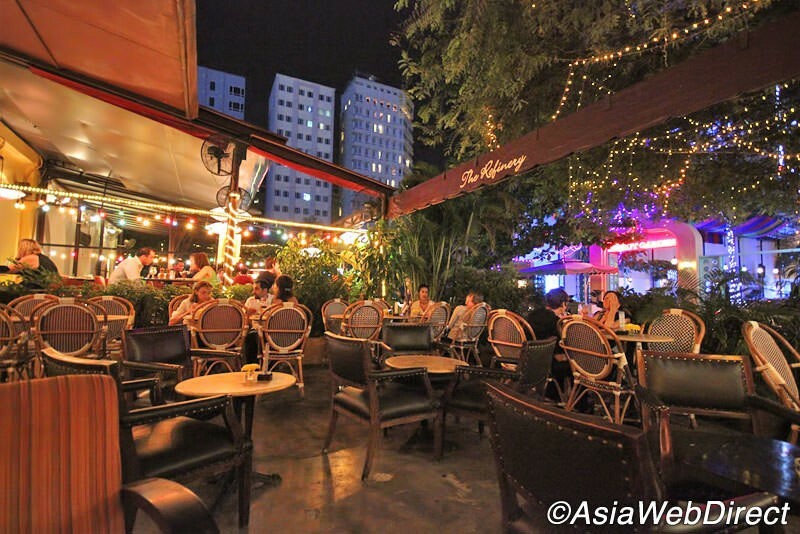 As a former opium factory, The Refinery is replete with genuine colonial fixtures and has a charming garden terrace that offers the perfect spot for soaking up the cosmopolitan ambiance over a couple of wines. 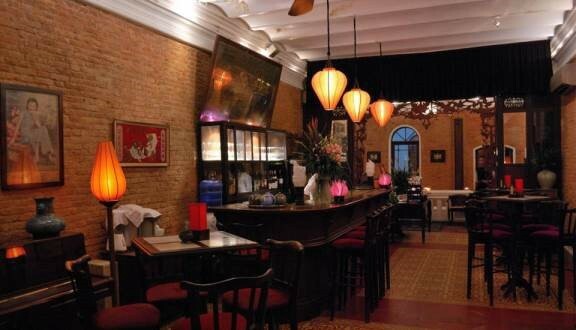 This is popular restaurant is enclosed in a fashionable courtyard next to the Park Hyatt Hotel on Hai Ba Trung Street. 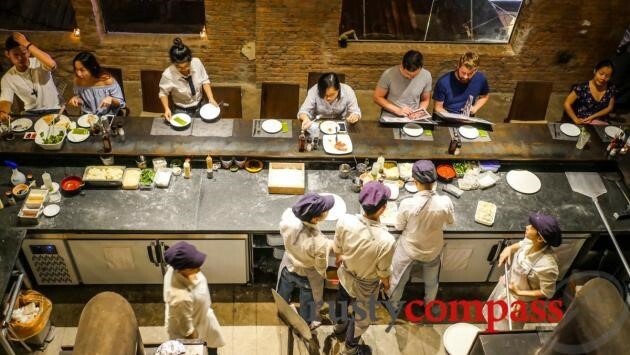 Tram’s Cookery Restaurant & Bar is an upscale place, set next to the Saigon River, where you can enjoy traditional Vietnamese and western cuisine in a relaxing atmosphere or just have some drinks in tranquillity. It is part of the beautiful An Lam Riverside resort and a favourite of Saigon’s ‘elite’ community and expats living in Vietnam. Either by speedboat or taxi it will respectively take roughly 20 or 35 minutes to get there from the city centre. Address: 29–31 Ton That Thiep St, District 1. 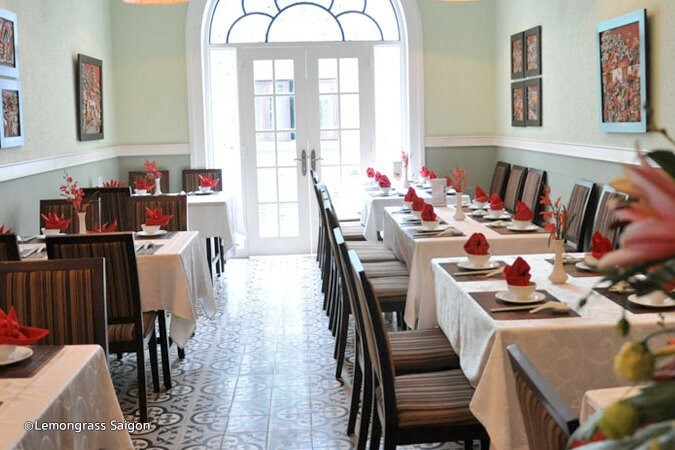 Lemongrass is a fine dining restaurant located in a narrow shophouse in District 1. 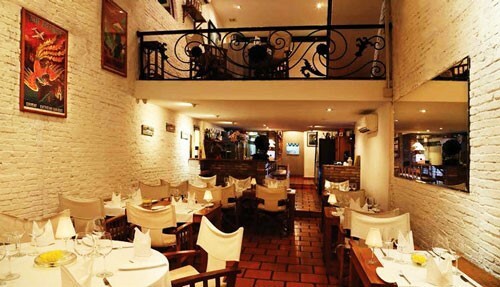 Serving delectable Vietnamese dishes presented with French flair and providing guests with diligent service, this three floor restaurant is certainly one of Ho Chi Minh’s top restaurants. Choose from the sizeable range of meat, fish and vegetarian dishes on the a la carte menu or trust the chef and choose one of four set menus available at Lemongrass. Soft candlelight adds a touch of romance to proceedings, enhanced by the live music playing in the background. Nha Hang Ngon is an endearingly popular restaurant serving a complete rundown of Vietnamese dishes in a restored colonial mansion. The menu is as big as a cookbook but all dishes are explained in English. Some might feel the restaurant lacks authenticity, but this is a great option for large groups who want to sample a wide range of Vietnamese food in pleasant surrounds. While this isn’t fine dining, the prices are such good value it is accessible for almost everyone. Camargue is a refined French restaurant set in the courtyard of an old colonial-era opium factory. While not exactly fine-dining, the ambiance is sophisticated and the cuisine available is clearly French with a slight Vietnamese touch. Highlights include seabass and squid served with sweet chard, roast lamb with polenta enriched with Phu Puoc pepper, and crispy pork leg marinated in a slight spice and caramelised artichoke. An excellent wine list is available with several options by the glass.